What’s a Scrum Board, and How Can You Use One? A Scrum board is a simple way of visualizing the work you want to do, are currently doing, and have completed. The most basic Scrum boards have only three columns – Backlog (or To Do), Work in Progress (WIP), and Done. Visually, I always make the WIP column narrower than the other two as a reminder that I can only focus on a few tasks at a time if I want to do them completely and well. 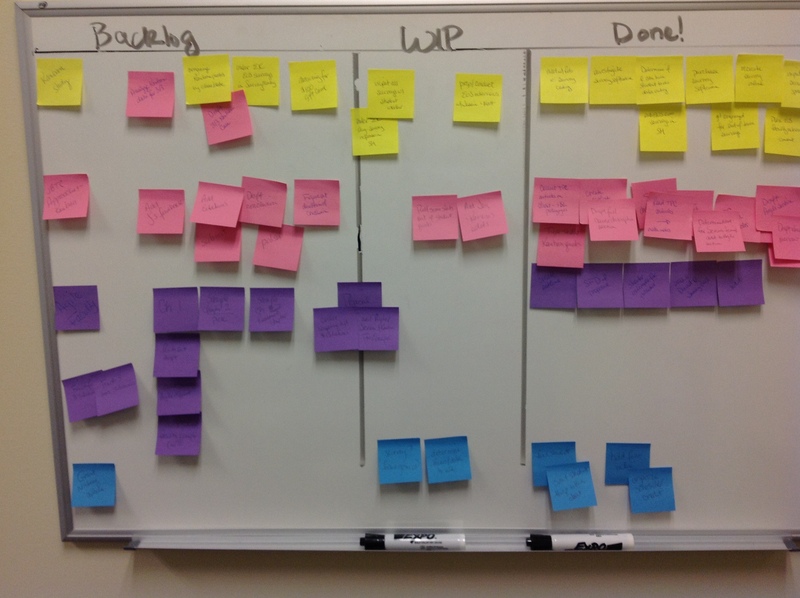 Agile Faculty can use Scrum boards to keep track of research and writing progress, to help student teams keep track of project work, and to keep a committee or task force on track when pursuing a specific charge. Below is a sample of one of my personal Scrum boards and a student group Scrum folder. More samples of Scrum boards are shown throughout Agile Faculty. While I prefer a physical board, a wall, a white board, even a manila folder all work, you can use collaboration software to create Scrum boards and backlogs for distributed teams, which can be useful for work such as multi-institutional research projects. I don’t use or endorse any specific project management software, but here are two articles that have compiled information about some of the most usable packages available, some free and some subscription- or user number-based. This article lists what it has identified as the top seven software packages, while this article compares 13 software packages, specifically for combining Agile/Scrum and e-learning. 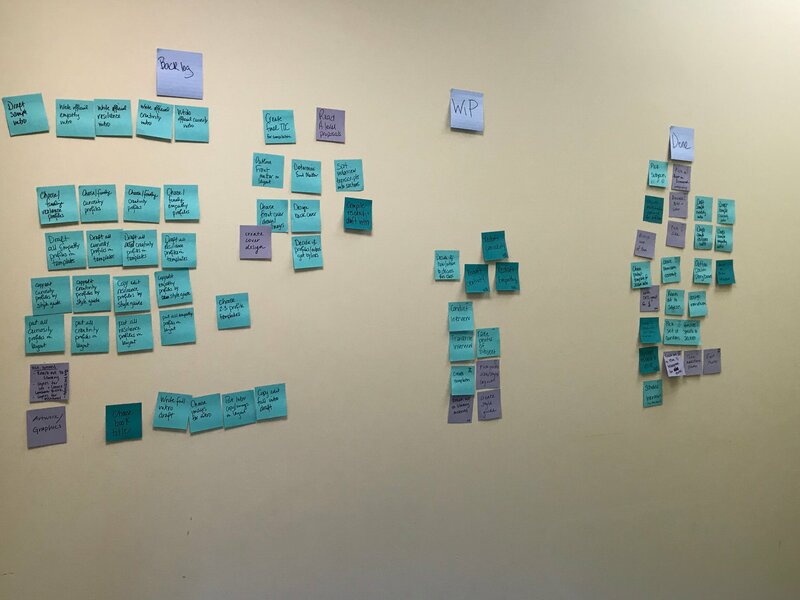 For additional advice on how to create and implement a Scrum board, check out Agile Faculty as well as this great article with detailed steps. And here’s a video of me talking about how to use the manilla folder Scrum board (or Kanban, which is Japanese for “signboard”) with students.